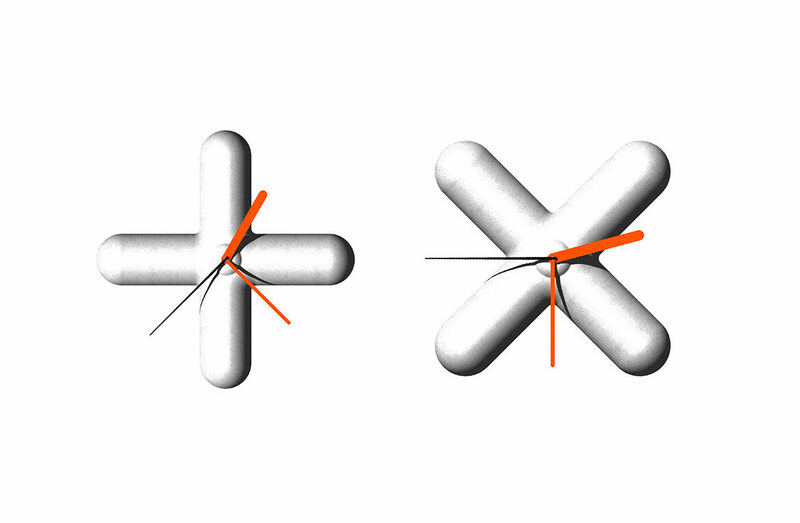 A simple clock (suitable both for wall or table layout) manufactured in expanded polyethylene. Despite its basic cross-looking, allows an easy and understandable reading. Only available in Japan.